A cellphone shot modified with Hipstamatic’s dedicated “Tintype” app. GEORGE EASTMAN’S INTRODUCTION OF ROLL FILM onto the world camera market in 1884 became the biggest single factor in the mass popularization of photography. But it was not the first process to make pictures fast, easy, portable, or affordable. That honor must go to the humble tintype. All of photography’s earliest processes were slow, inefficient in their use of light, and extremely perishable. Daguerreotypes, which recorded pictures as a positive developed on a chemically treated glass slide, created crisp, almost three-dimensional images, but they produced no negatives and were fragile, expensive one-of-a-kinds.Their long exposure times kept photography a prisoner of the studio, as well as pricing it out of the average person’s technical and financial reach. The 1850’s saw the first appearance of the tintype, a process which recorded pictures on treated steel (no tin was ever used, ironically). This was something else again: itinerant shutterbugs at fairs and festivals could be trained to make them with a minimum of technical skill, and at a fraction of the time per exposure, with a finished portrait delivered to the customer within minutes. Better still for the tintype was its durability and portability. Thousands of servicemen posed for them before enlisting for the Civil War, and thousands more carried “counterfeits” of their sweethearts into battle. Tintypes became the everyman’s first personal photographic keepsake. They were Polaroids before Polaroid. 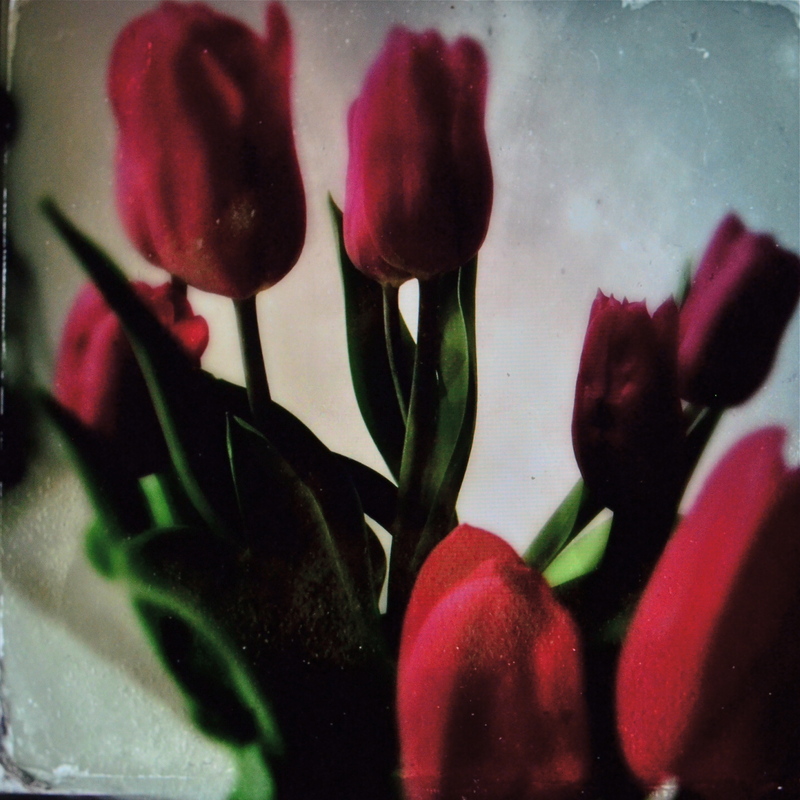 Like the daguerreotype, the tintype was irreplaceable, since it also produced no negative. Each image was also marked by its own visual tattoos, as uneven application of emulsion on the metal or surface irregularities in the plates”baking” errors into the pictures. Like diamonds, tintypes were beautiful partly because of their flaws: their imperfections lent them an unworldly quality, an unspoken time machine cue to the brain, an airy something that purely digital emulations have now brought back, as they have many other classic looks. Hipstamatic, the most widespread lens and film simulator of the cell phone age, sells its own dedicated Tintype app, a cute faker that generates artificial plate grain, the random edges that occur with well-worn souvenirs, the random sharpness, even the option of decorating the conversion of your full-color original photo with the appearance of the hand-tinting of the early 1900’s. A useless toy? Perhaps, if all you do with it is to make a snap of your lunch look “retro”. But this is the world we live in: that which was once the leading edge of an art has become our plaything. Or, more precisely, tintype technique can only become either toy or tool, goldmine or gimmick, depending on whoever’s at the helm. This entry was posted on April 11, 2018 by Michael Perkins. It was filed under celphone cameras, History, Kodak, processing and was tagged with emulation, Phone apps, Tintype.